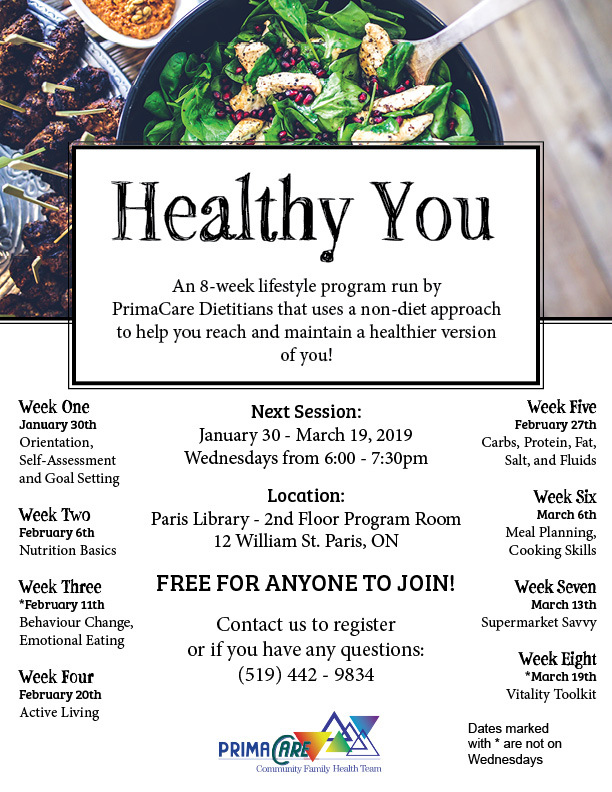 Join our Healthy You program today! Run by Registered Dietitians it focuses on a practical and realistic approach to making healthier choices. UPDATE: The January class is currently full, if you would like to be added to the waiting list for the next program, please give us a call! County of Brant – Seniors Wellness Workshop Series This Wellness Series are opportunities to learn more about the topics presented, ask questions and gain knowledge. The workshops series are in partnership with PrimaCare. PrimaCare Community Family Health Team (PCCFHT) is very pleased to announce their new partnership with Canadian Mental Health Association, Brant-Haldimand-Norfolk (CMHA). Read PrimaCare’s latest nutrition information newsletter. This issue is focused on Ways to Stretch your Food Dollars. Food prices, especially fresh produce and meats, have seen dramatic increases as a result of economic turmoil. Learn strategies to contain your food budget without compromising nutrition and health. Learn what Probiotics are, why these food components may help keep you healthy and how to select the best food sources. Enjoy food samples of high-probiotic foods! Shake It Up! Register for the Seniors’ Month Social: Wednesday, June 8, 2016 at 4 p.m.
PrimaCare Community Family Health Team is showing their community spirit by supporting the Boys and Girls Club in Brantford with their involvement in “Pink Shirt Day”. Anti-Bullying Day (or Pink Shirt day) is a day when people wear a pink shirt to symbolize a stand against bullying, an idea that originated in Canada. At the PrimaCare Community Family Health Team (PCCFHT), … . 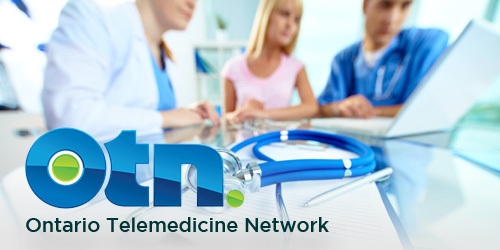 Your Telemedicine appointment. Download OTN family brochure. 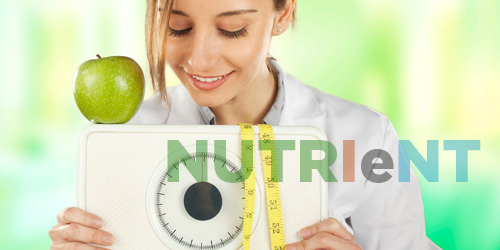 Download our latest nutrition information newsletter.